Latest Updates…!!! 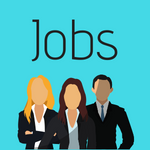 The Karnataka Public Service Commission has released KPSC FDA Recruitment 2019. Aspirants searching for Karnataka Govt Jobs can use this excellent chance. Applicants can apply for Karnataka PSC FDA SDA Vacancy through online. There are total of 844 posts of First Division Assistant & Second Division Assistant. The important dates will update soon. Especially, you have to check education qualification, age limit, selection process, application fee and pay scale. So, everyone must download KPSC FDA SDA Notification 2019 from official website at kpsc.kar.nic.in. Here is the active link of Karnataka PSC 1 2 Division Assistant Jobs. So, applicants have to register for KPSC Second Division Assistant Apply Online. Hence, more details regarding KPSC FDA Recruitment will furnish below. All the eligible and interested aspirants should apply online for the Karnataka PSC FDA SDA Recruitment by the end of today i.e., 12th March 2019. By the end of this day the receving of KPSC FDA Application forms will be stopped. Candidates should have Minimum 18 years and Maximum 35 years refer notification. The age relaxation will be applicable as per Government Norms. Latest Updates…!!! The Karnataka Public Service Commission has released KPSC Recruitment 2019. Eligible candidates can follow the details from this page. Right now, aspirants are searching for Karnataka Govt Jobs. There are total 381 posts like Insurance Medical Officer, Senior Asst Director of Horticulture, Asst Horticulture Officer, Asst General Manager under Group A & B Technical. Applicants can download Karnataka PSC Asst Horticulture Officer Notification 2019 from official website at kpsc.kar.nic.in. The starting date for submission of online application is from 17th December 2018. Here is the active link of Karnataka Group A & B Technical Jobs. Eligible candidates can follow the details and register for KPSC Insurance Medical Officer Apply Online. Hence, furthermore details regarding KPSC Recruitment will furnish below. KPSC full form is Karnataka Public Service Commission. The state is to advise the Government and other recruiting authorities in the appointment of State Civil Services. The recruiting officers have been following Government principles from time to time. According to this information, every academic year a huge number of notifications release as per the vacant positions. Present, the KPSC Recruitment 2019 has released. Officials are looking forward for capable candidates to fill 381 posts of Group A & Group B Technical. Applicants can register for KPSC Group A B Technical Vacancy through online mode. The last date for submission of online application is on 16th Jan 2019. 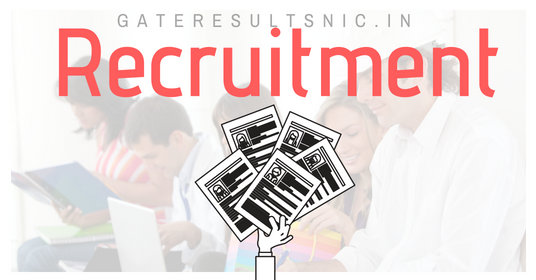 Candidates have to download Karnataka PSC Asst Horticulture Officer Notification 2019 through online mode at kpsc.kar.nic.in. How to register for KPSC Insurance Medical Officer Apply Online 2019? 1.10 How to register for KPSC Insurance Medical Officer Apply Online 2019?